Fox Photography constantly strives to offer high quality photos, using the latest technology available and prides itself on competitive pricing. We offer a variety of unique photo programs, flexible scheduling and our staff works well with children. 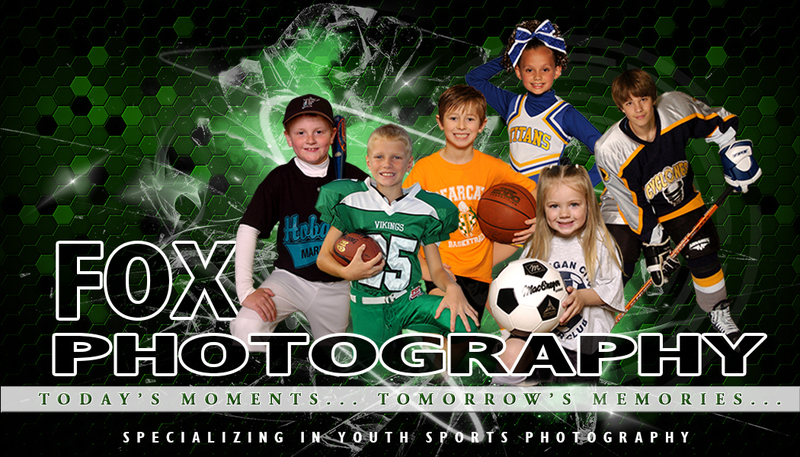 Fox Photography strives to provide the best possible photo-products to our leagues. To accomplish this, we use the latest technology and photo finishing equipment, all done on the premises in our own state-of-the-art photo finishing lab. At Fox Photography, we also operate our own engraving department where we offer an outstanding array of personalized engraved trophies and plaques. We are continually updating our sport graphics to keep our products appealing.